1. 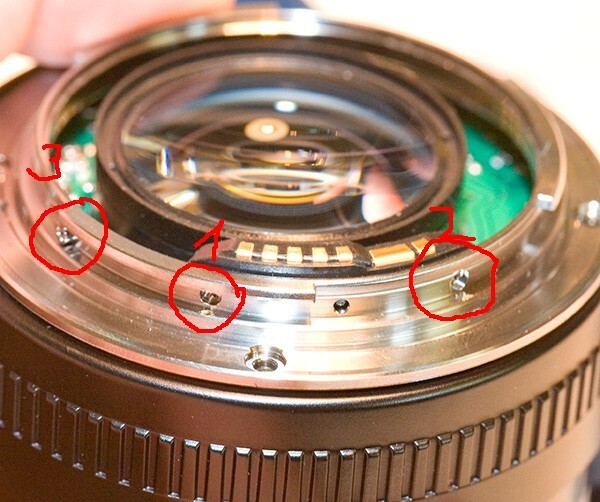 Removing the focusing ring and the front ring (the one that sais "Canon lens EF..."). Remove screw with number 1. There are 3 of them, around the ring. Remove all of them. The front ring (2) and the focusing ring (3) slide of afterwards. 2. 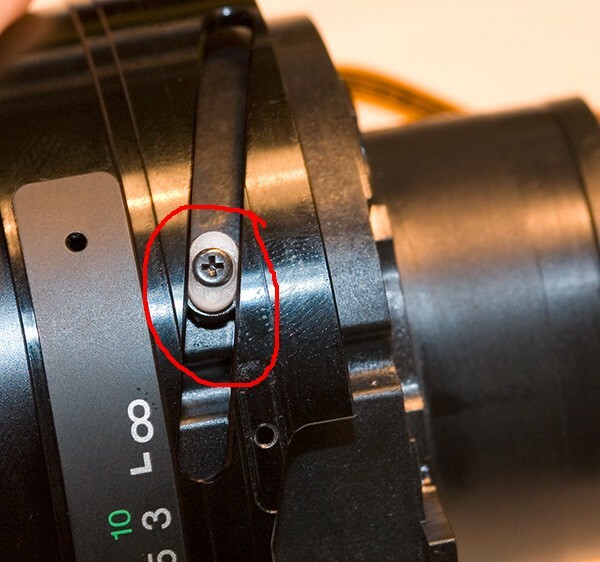 Removing the lens mount. 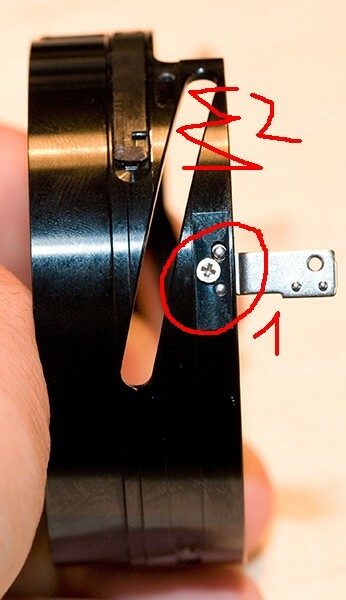 There are 4 of these "ears" that hold the plastic protection piece in the mount. Gently pop them off with your screwdriver. 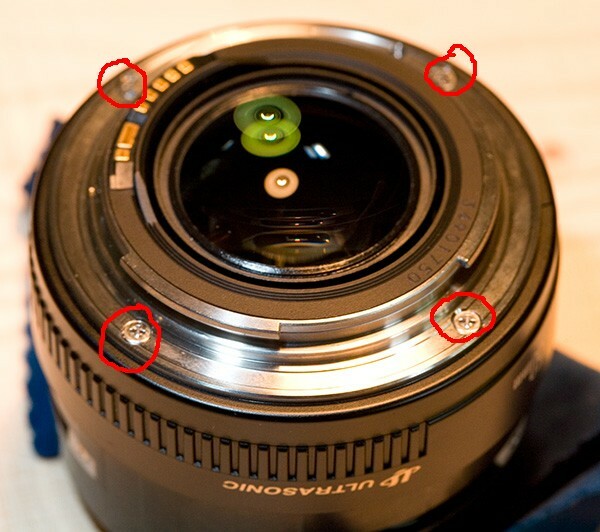 Note that the mount is still attached to the lens by a contact band - don't pull on it or it will break! Remove screws 1 and 2, but NOT number 3. 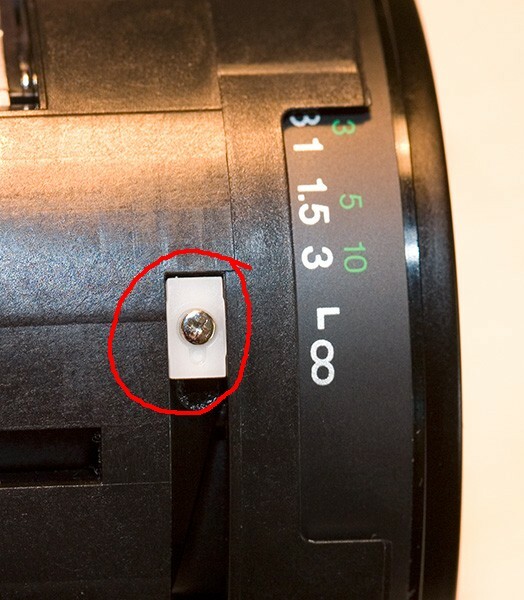 Now you can remove the metal mount, and put it aside. 3. 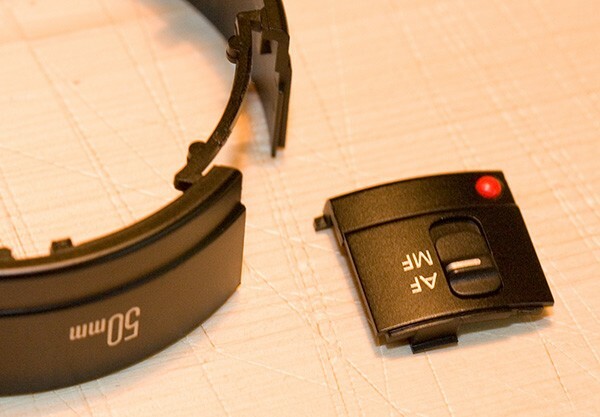 Remove the AF/MF switch and the base plastic ring. First the AF/MF switch (1) comes off by sliding it up. 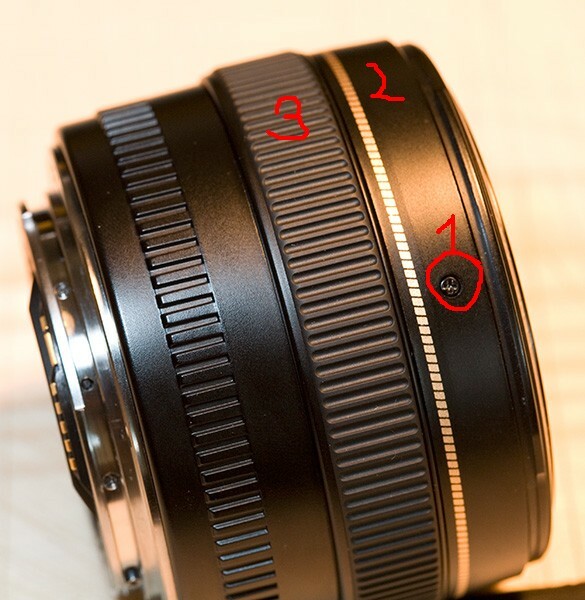 Beware, it has a drop of glue on the inside that sticks it to the plastic ring numbered 2 in this image. Then slide off ring nr. 2. NOTE: the AF/MF switch moves another switch on the side of the green circuit board; don't use too much force or you might damage that. Now you have taken off the last 2 of the outside plastic pieces. 4. 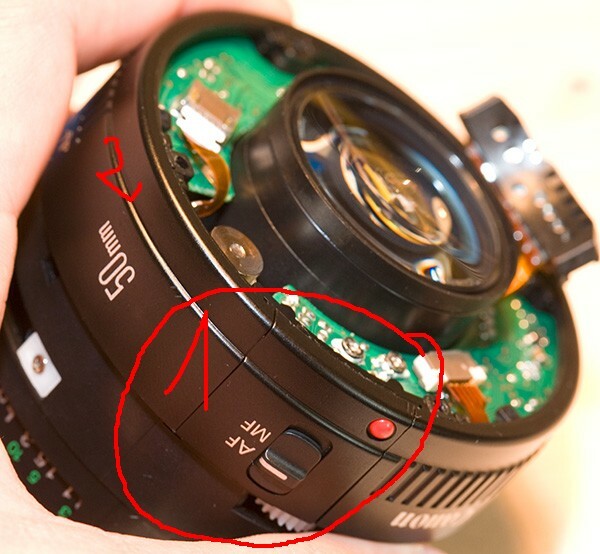 If you want to remove the circuit board, you need to remove screw nr. 1, and unplug number 2, 3 and 4. 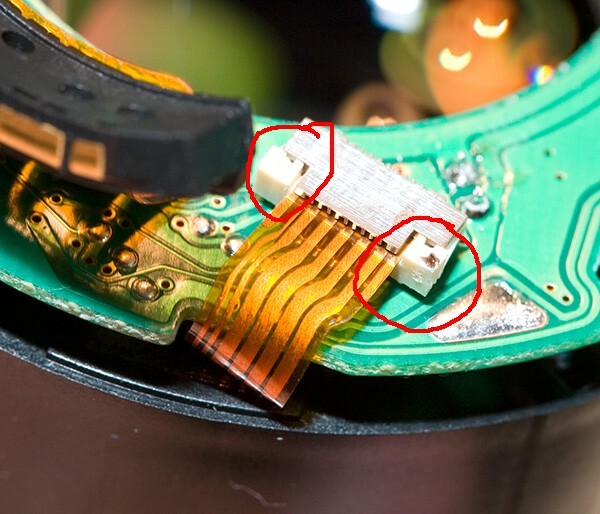 For our specific intervention, REMOVING THE CIRCUIT BOARD IS NOT NECESSARY. We only have to unplug number 2, as described below. Gently, with your screwdriver, pull on these 2 plastic bits in the direction of the band, until they slide out about 1mm. Then the band should come out very easy. 5. 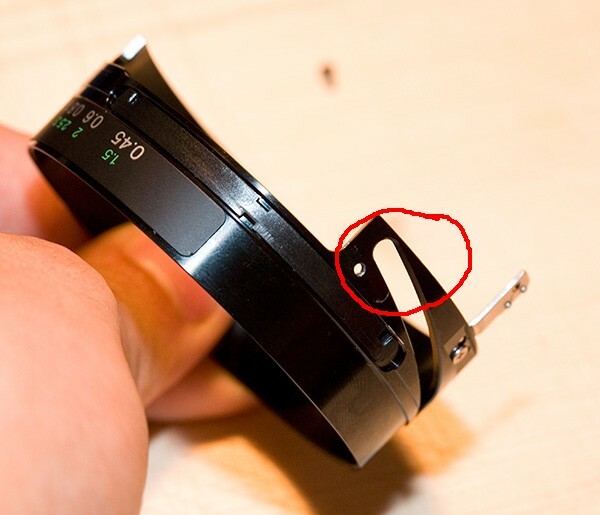 Next, remove this piece on the side of the lens barrel, by removing the little screw in the middle. 6. 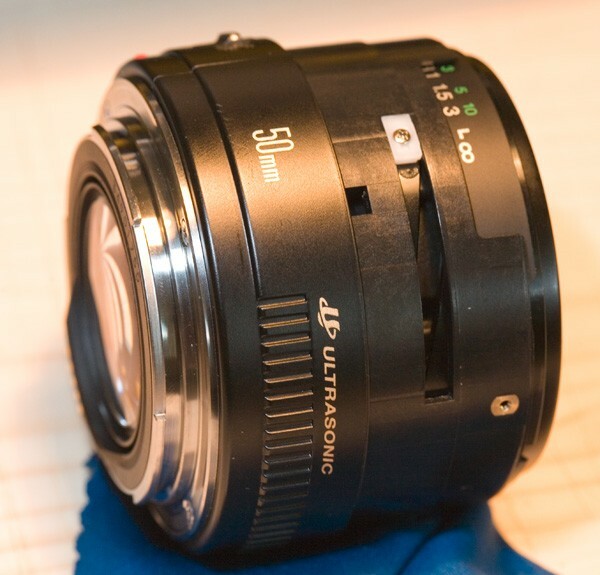 Now remove the three white plastic guides around the side of the lens. Don't take the screws out of them, so you know how to reattach them correctly. 7. 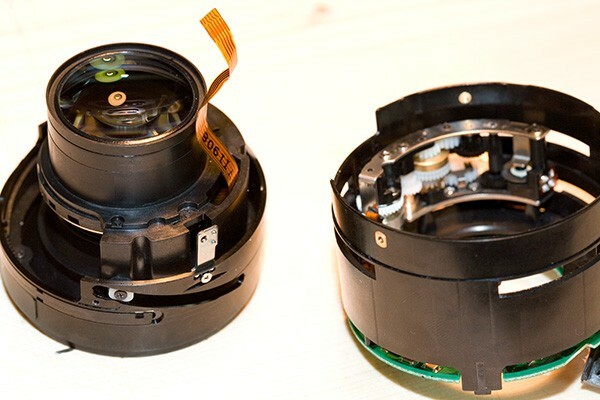 Now the optical assembly can be removed from the barrel. 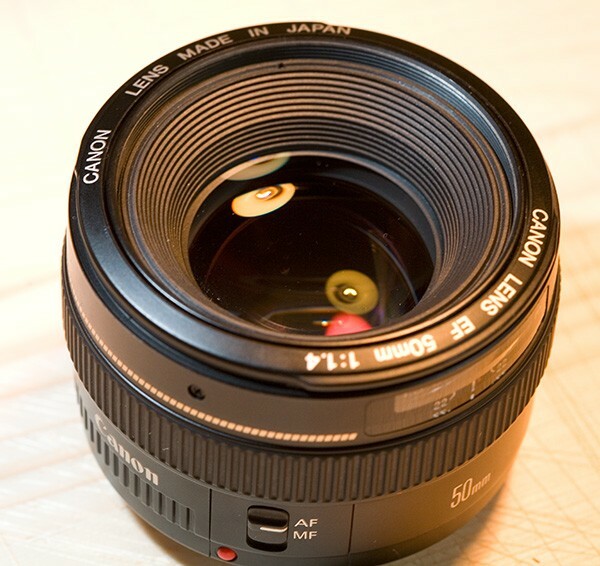 Put the barrel aside, and continue with the part that has the lenses inside. 8. Remove the 2 white plastic guides, and slide the helical (or helicoid) off. This is the part that needs fixing. 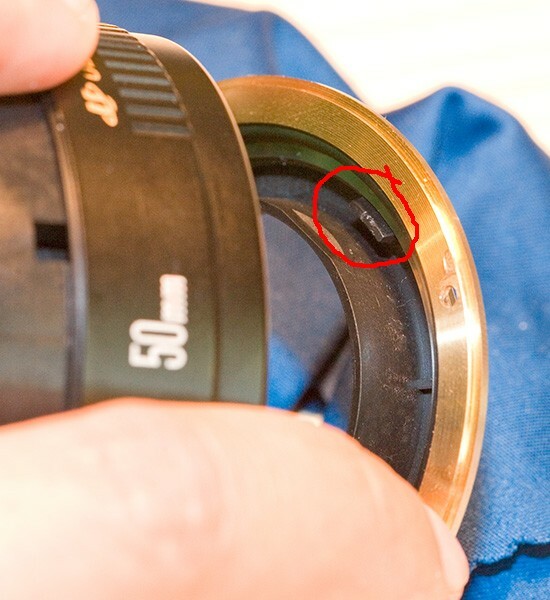 With my lens, the two white guides that we just removed pushed against the outside of the groove and bent the plastic around the area that is circled in red. Remove the metal piece numbered (1). The problem are is number (2) and the corresponding area on the opposite side, on the other groove. Set the helical on a flat table, and you will notice that it's not flush with the table because the plastic at number 2 and the corresponding area on the other groove is bent. Press it down gently no the table until it regains it's shape. If it doesn't work, press on the specific spot with your finger. It is pretty soft, so don't overdo it or the grooves will get to narrow and focusing will be impossible. Reattach the helical and check if it rotates smoothly. Now, reassemble it all, in reverse order. Be careful not to loose any screws, or mix them up. If you're messy by nature, put the screws on named and numbered pieces of paper. - everything needs to be done in reverse order then described here. - don not overtighten the five white plastic guides or they will cause friction and focus will be sluggish or become jammed. - don't forget the piece you removed at number 5. - be careful how you re-insert the band at number 4. 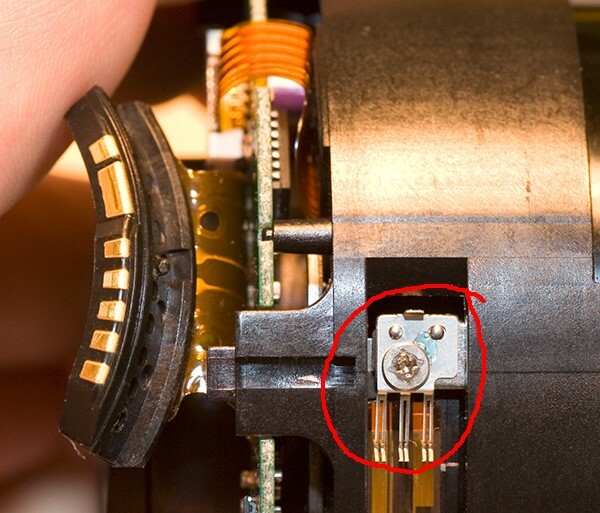 It has a hole under the circuit board where it needs to be threaded through. - when you put the AF/MF switch back on, be gentle. It needs to slide on top of the tiny switch on the side of the circuit board. 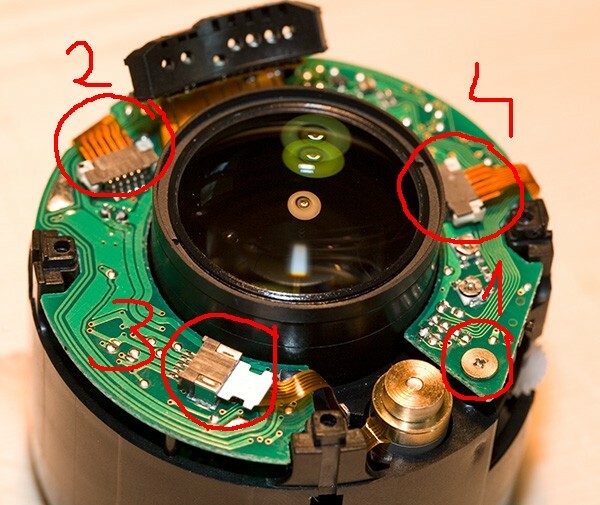 - before reassembling the two big parts at number 7, use a blower to remove any dust that might have gotten in between the lenses while they were exposed. Ok, I really hope this helps!